Hi, I’m interested in AUDI A4 B6 L/FRONT DOOR. Please contact me. Thanks! All engines comes with 1 month warranty provided it is fitted by an authorized Audi VW fitment center. Dynamic Auto Spares is currently stripping the following cars for spares.-Audi A4 1.8T B8-Audi-Polo 6 1.2TSI-Polo 6 sedan Vento-Audi A1 1.4TSI-Audi A3 1.8T 2014-Audi A4 2.0TDI B8-Audi A3 1.4TSI 2013-Golf 7 1.2TSI-Golf 5 2.0 2006-Golf 6 GTI 2012-Audi TT 2.0T 2015-Jetta 6 1.6TDI-Polo vivo 1.4-Audi Q7 3.0TDI- -A4 2.0T B8 2013 -Audi A4 2.0T B9 2016 and many more Audi's & Volkswagen to choose from. Great conditions low km's engines in stock. All engines come with a 1 month warranty provided it is fitted by an authorized Audi fitment center. 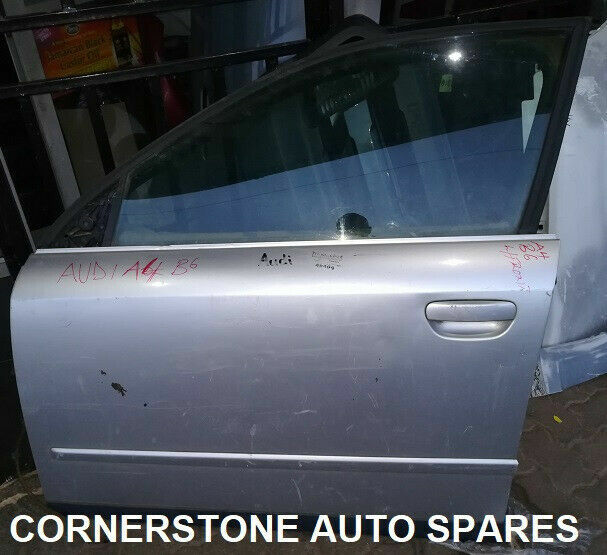 A clean in a very good condition, Price is negotiable, contact Sunny from Cornerstone Auto spares for further details. Phone number 067 063 6380. Address: 432 Louis Botha Avenue, Rouxville, Highlands North, Johannesburg.